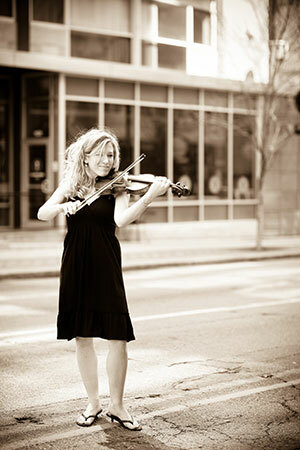 Abbie Steiling is an active freelance violinist and teacher from the St. Louis area. She has performed for audiences throughout the United States, Canada, and Europe in an array of musical genres. She is a member of the touring progressive rock band Pavlov's Dog and is featured on four of their most recent albums including the 2016 CD+DVD release, House Broken. In addition to her experience as a rock musician, Abbie is a co-founder and composer for the jazz-fusion group Common Time. Formerly known as Steizuello, the group self-released their debut album Send Help! in 2012. Both St. Louis and Nashville have seen her perform with a wide variety of country, jazz, rock, and classical ensembles including extended engagements with Hillbilly Authority, Tommy Halloran, and BroadBAND. Other notable recent involvements include St. Louis' own theatrical circus, Circus Flora (2015 and 2016), and Stages St. Louis' production of Always...Patsy Cline (2014). Along with her work as a private studio teacher, Abbie has been a faculty member at the International Summer Jazz Academy in Krakow, Poland, Austin Peay State University's Community School of the Arts in Clarksville, TN, the Lindbergh School District's Summer String Camp, and is currently on faculty at DaySpring School of the Arts. As an adjunct faculty member of Webster University and Webster University's Summer Jazz Camp, her commitment to her alma mater is ongoing. She is a member of the National Federation of Music Clubs, and her students participate in the annual Junior Festival. Abbie holds Bachelor and Master of Music degrees in Jazz Studies from Webster University in St. Louis, where she studied improvisation with saxophonist Paul DeMarinis and violin technique with Joseph Kaminsky. Her enthusiasm for education led her to graduate studies in violin pedagogy at Belmont University in Nashville. There violinist Elisabeth Small and fiddler Tammy Rogers King provided their mentorship. 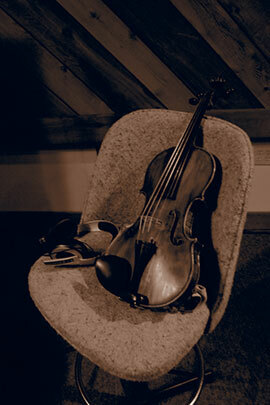 Ongoing professional development has included study with violinist Alison Rolf.